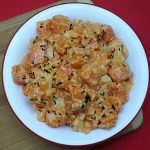 This is a wonderful side dish that only takes a few minutes of prep time. 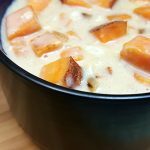 Then you can pop it into the oven while you work on the rest of the meal. 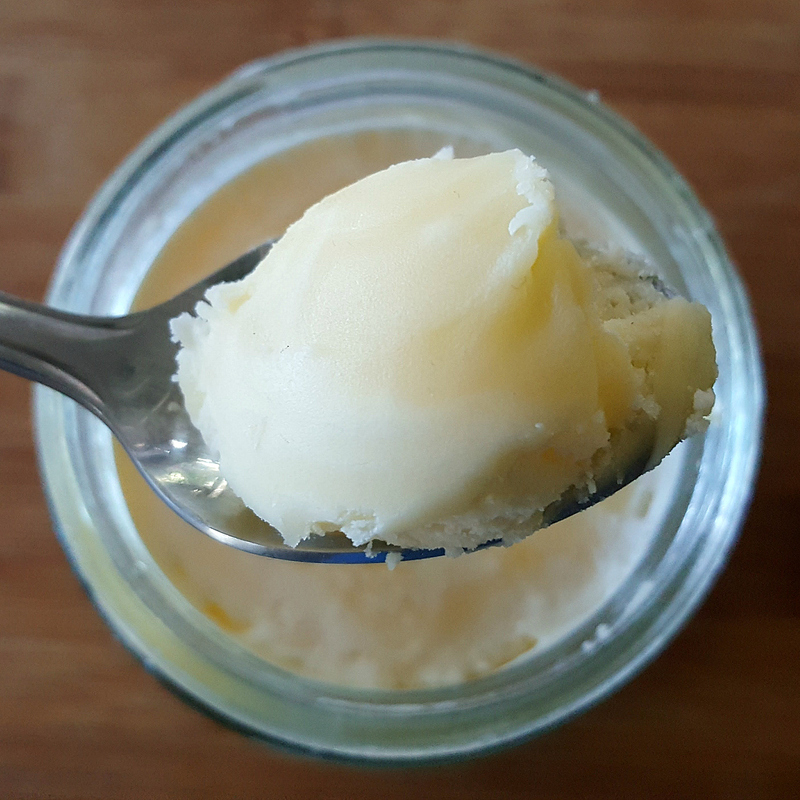 Ghee has a rich, nutty flavor that complements the sweet potatoes. Also, it does well at high heats, so is a good choice for roasting. 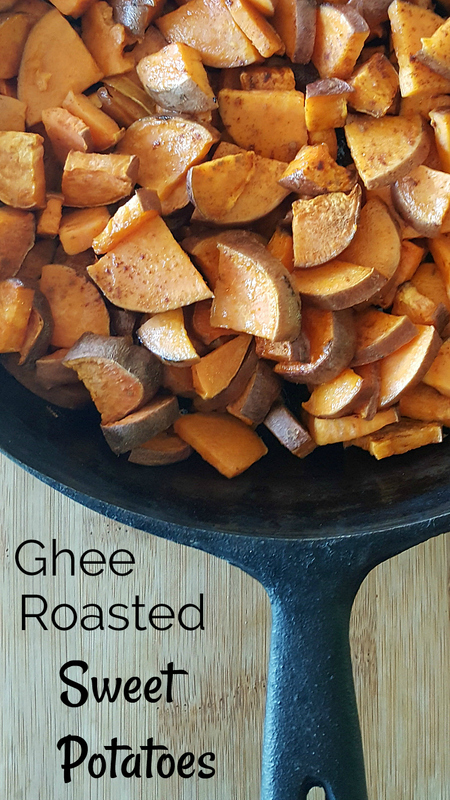 The ghee roasted sweet potatoes make a tasty and satisfying side dish! 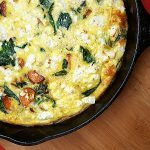 Apply a light coat of ghee to the inside of a 10″ cast iron skillet. 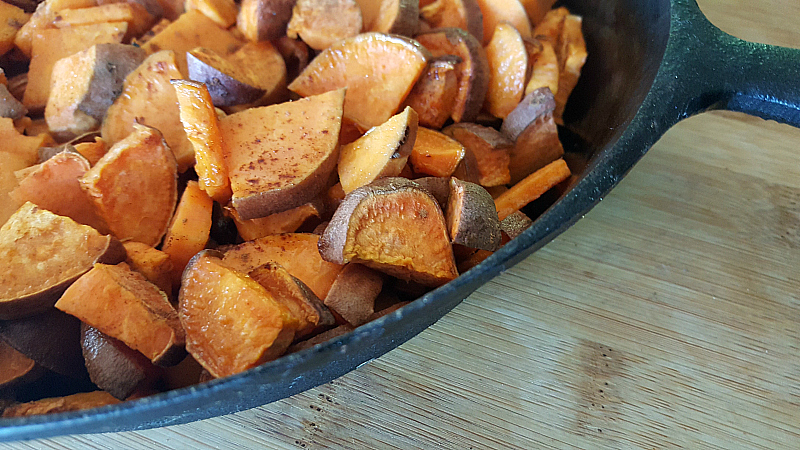 Combine sweet potatoes, salt and cinnamon and add to the pan. 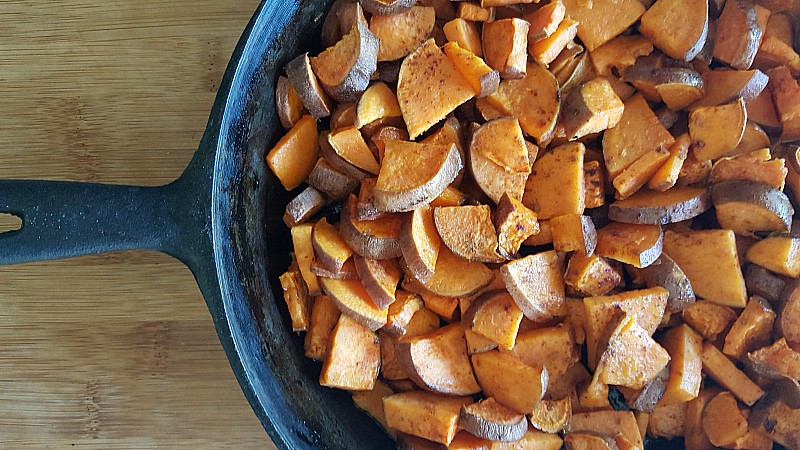 Cut or break ghee into small pieces and arrange on top of the sweet potatoes. Roast for 30-40 minutes until potatoes are tender. 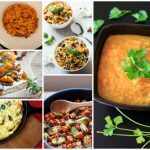 Additionally, check out my other sweet potato recipes.